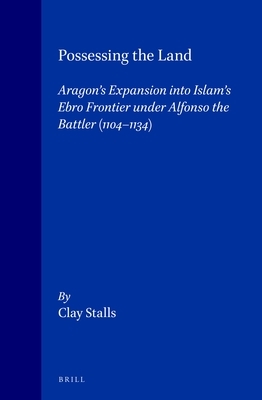 Possessing the Land is the first comprehensive treatment of Christian Aragon's expansion under Alfonso I (1104-1134) into a major arena of medieval Christian/Islamic contact: the Islamic Ebro River march of Aragon. Based on an extensive examination of primary and secondary sources, the book's insights into the social and political processes of Christian settlement and the fate of post-conquest Islam are of particular importance. Its conclusions that the freeholding of land characterized the Ebro's Christian settlement, and not heavy seignorialization, and that Christian settlement relied on the Muslim infrastructure, challenge significantly the neo-Marxist thesis of the "feudalization" of twelfth-century Christian Iberian society and the corresponding Christian break with Iberia's Islamic Past. This book constitutes a fundamental work in Iberian frontier studies. Clay Stalls, Ph.D. (1991) in History, University of California, Los Angeles, is currently a lecturer in the UCLA Department of History. He is the author of numerous articles on Muslim/Christian relations in medieval Iberia and on medieval Iberian social history.